A seemingly endless row upon row of white crosses mark the final resting place of thousands of American servicemen on a hill overlooking Washington, DC. 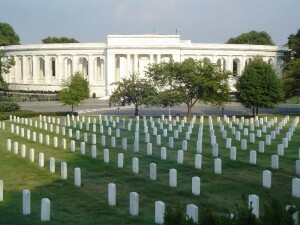 This is the nation’s largest military cemetery. 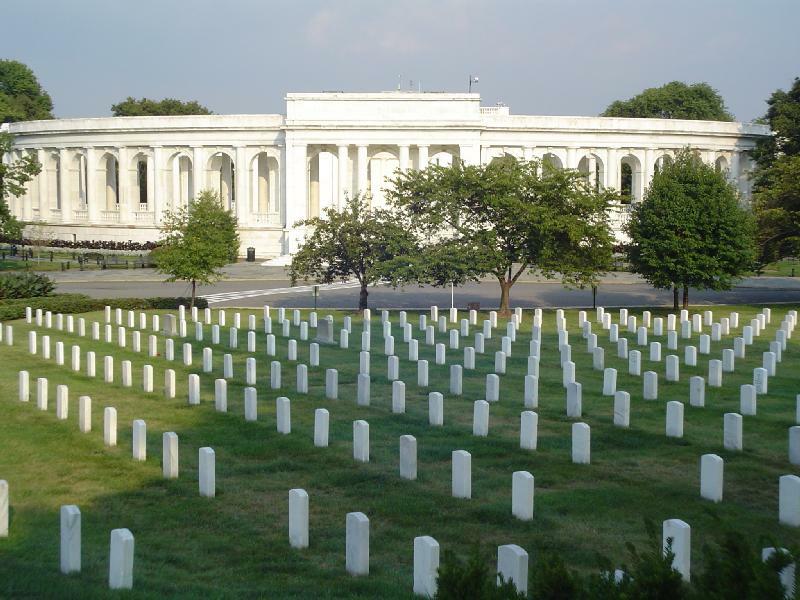 It contains the graves of many important men and women in recent American history. The land was once part of the Lee estate (Robert E Lee, famous Confederate general). Their mansion still sits atop the hill. Another section of the cemetery features the Arlington Memorial Amphitheater where ceremonies often take place. A perpetual flame marks the grave of John Fitzgerald Kennedy, the 35th President of the United States, and his wife, Jacqueline (Kennedy) Onassis. 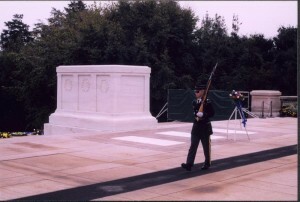 A Changing of the Guard Ceremony takes place at the Tomb of the Unknowns every hour (every 1/2 hour during the summer months). It is extremely popular with visitors.